The Lithuanian Social Democratic Labour Party could back the presidential bid of Prime Minister Saulius Skvernelis if he chose to run for president, however the party is also considering the candidacies of Minister of Foreign Affairs Linas Linkevičius and former Prime Minister Algirdas Butkevičius, LSDDP member Juozas Bernatonis told lrt.lt. A. Butkevičius himself assures he is only considering participating in the European Parliament elections. The head of the LSDDP electoral headquarters J. Bernatonis stated that preparations for the three nearing elections have not yet ended, however a number of decisions have already been made, the politician states. According to J. Bernatonis, the LSDDP has formed its electoral rolls for the municipal elections in 29 municipalities, most of the candidates are party members. In three municipalities, LSDDP representatives intend to participate in civic electoral committees. According to the head of the LSDDP electoral headquarters, the party has candidates in all five major city municipalities, bar Kaunas region. "We believe that such a result within a year is good for the party. We also have nominated 17 mayoral candidates," J. Bernatonis told lrt.lt. 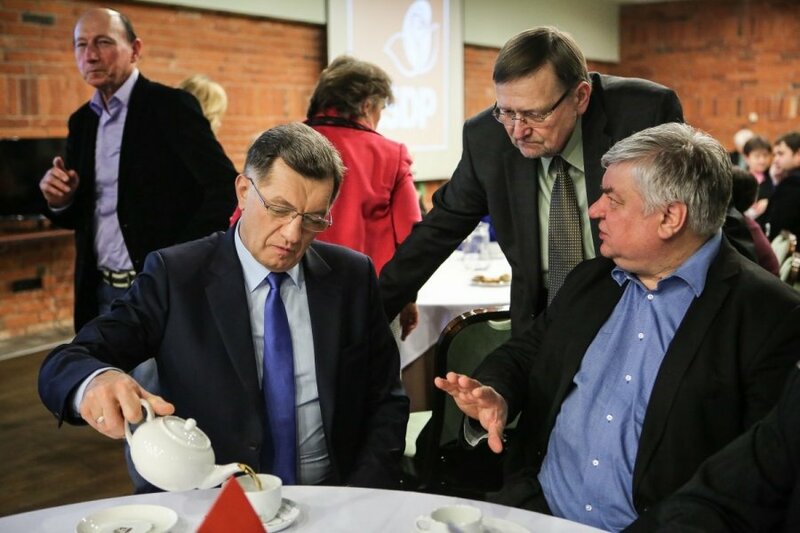 According to the LSDDP vice chairman, in Vilnius the party will back former Mayor Artūras Zuokas' bid for re-election, while in Kaunas city – that of incumbent Mayor Visvaldas Matijošaitis. "In Vilnius city, we are not nominating our own candidate. As our party leader [Gediminas Kirkilas] mentioned earlier, we are backing A. Zuokas in Vilnius because we believe that his return would fundamentally improve the circumstances in the city municipality, considering his prior achievements, experience and vision for Vilnius' future, which he presented at congress. We have a list of candidates to the Vilnius city municipal council, which is led by Vice Minister of Justice Irma Gudžiūnaitė. We are also not nominating a mayoral candidate in Kaunas city. We support the incumbent [V. Matijošaitis] because we also believe that he is doing excellent work and votes should not be drawn away from him without reason," J. Bernatonis stated. According to the politician, the LSDDP has yet to decide on the Klaipėda mayoral race, however they are considering backing the candidacy of "Farmer" nominee, Klaipėda Port director Arvydas Vaitkus. "In Šiauliai, we have nominated Andrius Šedžius. He is the local LSDDP branch chairman, it is a large branch and we hope the results will be good – A. Šedžius should reach the second round of elections. In Panevėžys city, former Seimas Budget and Finance Committee chairman Petras Narkevičius is running for mayor. The competition will be interesting there because there is no clear favourite," J. Bernatonis spoke of the LSDDP's plans. The LSDDP also intends to participate in the nearing European Parliament elections. According to J. Bernatonis, so far, the party is currently not considering forming a coalition electoral roll. "For now we do not have a coalition electoral roll for the EP elections and do not plan to propose our candidates for other parties' rolls, thus the most likely variant is that we will have our own electoral roll," J. Bernatonis assured. According to him, the list of LSDDP candidates to the EP, which is to be approved in February, should feature the party's leader G. Kirkilas, several ministers and former ambassadors. The head of the LSDDP electoral headquarters notes that the party expects to gain at least one seat in the European Parliament. Upon lrt.lt inquiring about the LSDDP's preparations for the presidential elections, J. Bernatonis assured that the final decision on this matter has not yet been made. "Our party, which is not receiving budget financing, financially will find three elections in one year to be a major challenge. Thus, we must calculate and see our strength. If there are no suitable left-wing candidates, we will of course nominate our own," the LSDDP member explained. According to him, currently the LSDDP does not see any presidential candidates it could support. J. Bernatonis did not dismiss the possibility that if S. Skvernelis chooses to run for president, Social Democratic Labour would back him. "I believe that we could [back S. Skvernelis' bid] because we view the prime minister's work and cooperation with him in a positive light. But I believe that if he is nominated, he will be backed by a broad spectrum of political parties and the public," the politician commented. 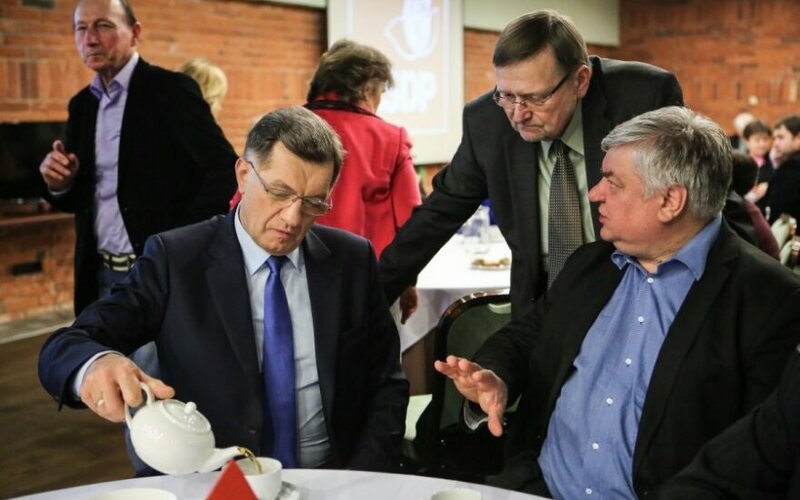 According to J. Bernatonis, if the party chose to present its own candidate for the presidential race, it could be Minister of Foreign Affairs Linas Linkevičius, who currently is not a member. The minister himself has stated a number of times that he does not wish to run for president, however as J. Bernatonis mentioned, L. Linkevičius could change his mind because currently PM Skvernelis has yet to declare his intentions. "As long as the prime minister has not made his decision [regarding the presidential elections], he remains a team player, a minister and cannot choose to compete. It would be un-Westernly, in poor democratic principle. Sometimes we have this sort of thing, but if you aim for the highest standard, the prime minister's decision must come first," the social democrat labour member stated. According to the LSDDP vice chairman, the party would also consider the presidential bid of former Prime Minister A. Butkevičius, who is not a member of the party. "Of course, we also have Algirdas Butkevičius in our Seimas group, whose ratings have improved, he is a notable politician, thus he could be one of the candidates or there could be some unexpected decisions," J. Bernatonis stated. With lrt.lt contacting A. Butkevičius for comment, he did not conceal his surprise at J. Bernatonis' words. The politician stated he had not received any invitation from the LSDDP to be their presidential candidate. "This is a trick by J. Bernatonis. I am not even a member of their party," A. Butkevičius declared, stating he is not considering a presidential bid at the moment and instead that he is aiming for the European Parliament elections. "The plans remain unchanged. Of course, I have not fully committed to the decision because I need to travel around Lithuania, hear the public opinion. I will make a firm statement in the latter half of January, but that's the plan," the politician noted. Earlier, A. Butkevičius had mentioned that he intends to run in the European Parliament with a civic movement he founded.